A British burglar was caught by police because the Christmas outfit he was wearing was so bright it was spotted by a police helicopter. 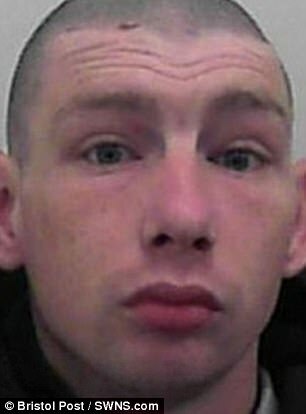 Mark Winslow, pulled on a balaclava when he decided to steal a supermarket delivery vehicle, left unattended by the driver, in Bristol, England. One of the first rules of burglars is “don’t get recognized” so his balaclava was a good disguise, unfortunately for him, the rest of his outfit was less inconspicuous – it was an all-in-one jump suit decorated with bright festive stars. Mark Winslow caught on CCTV. 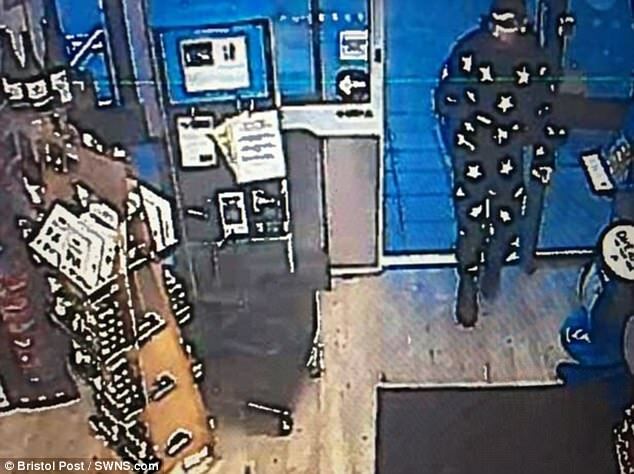 Despite his bright onesie, Winslow continued his crime spree and 30 minutes after stealing the vehicle he stole £100 ($130) of sweets from a shop in Bristol, England. The hapless thief was caught on the shop’s CCTV. Police were able to track Winslow and the stolen vehicle, pursuing him by car him as he sped through the streets of Bristol, jumping red lights and at one point even driving at the police only to swerve at the last moment. But when the van hit some speed bumps, and dangerously flew up onto two wheels, police called off the pursuit fearing bystanders might get hurt. But a helicopter continued to track his movements. When Winslow abandoned the car and started running through the streets of Bedminster the police were able to keep track of him because the stars on on his festive onesie shone brightly on their camera. And rather like the Wise Men the police had to just follow the stars. Winslow was then followed for several miles, during which he caused a motorist to swerve, jumped red lights and drove at a police car, only to avoid it at the last second. A helicopter kept tabs on him and when artless dodger Winslow was seen running through Bedminster, he was arrested. “I have nothing to live for. I think I broke my leg when I jumped from the van,” Winslow told police when he was apprehended. At Bristol Crown Court, the 26-year-old, of no fixed address, pleaded guilty to dangerous driving, while disqualified and without insurance, and theft. He will be sentenced in the new year.